I found a recipe for Budweiser Braised Shrimp in the Tallahassee Junior League’s most recent cookbook, A Thyme to Celebrate. I’ve been craving something like this, but wasn’t in the mood for this exact recipe, so I made up my own dish inspired by Budweiser Braised Shrimp recipe. 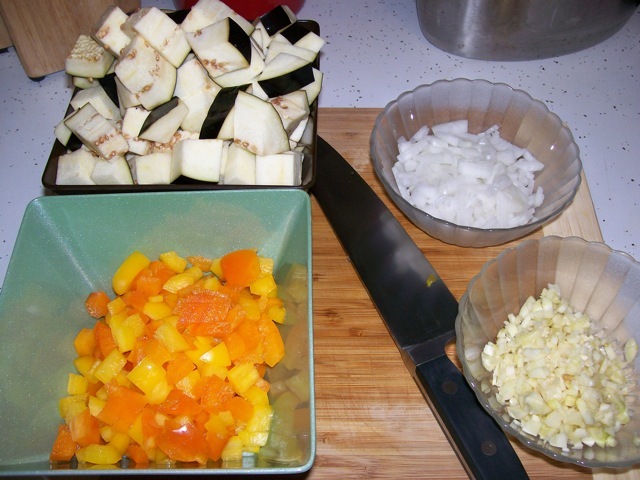 Prepare the vegetables by cutting the eggplant into 1/2 in cubes, mincing the garlic, dicing the onion, and chopping the peppers. I used an orange and a yellow pepper for color and because Jill doesn’t care for green bell peppers. Heat a tablespoon of olive oil in a soup pot over medium heat. Add the garlic and onion and cook until the onion becomes translucent. 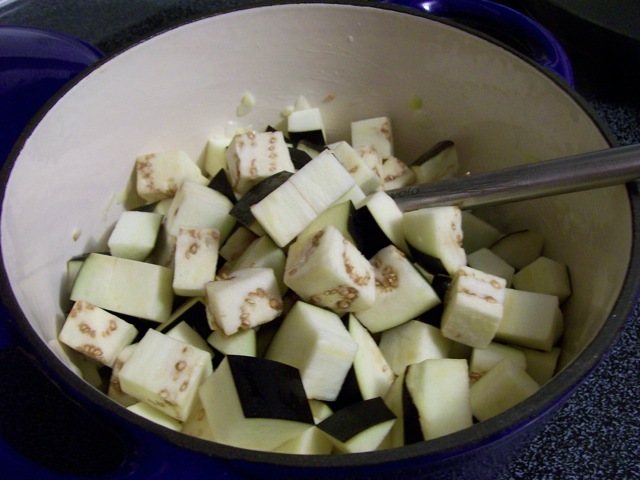 Add the eggplant and cook for five minutes, stirring often to ensure that the eggplant cooks evenly. Add the chopped peppers and continue cooking and stirring for another 5 minutes. 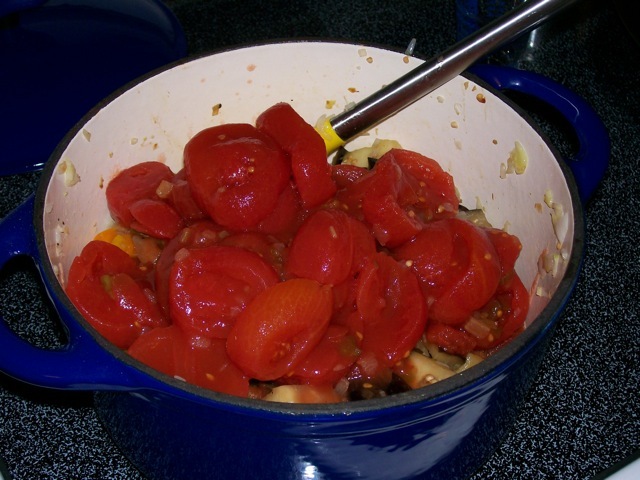 Add the stewed tomatoes and the tomato sauce. Cook for an additional 5 minutes, stirring often. 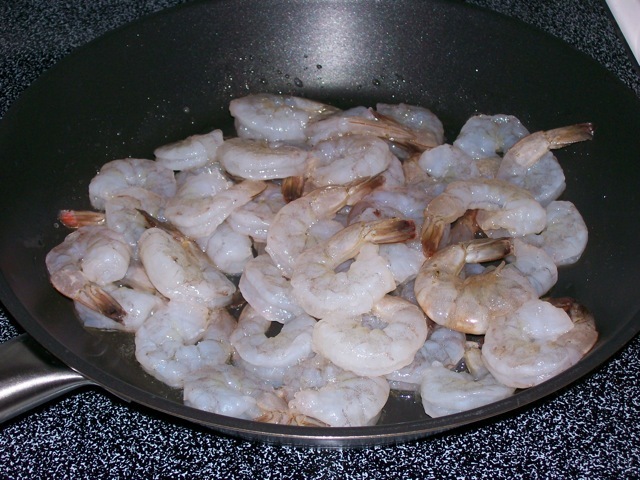 Turn the heat down to low and let the vegetables simmer while you prepare the shrimp. 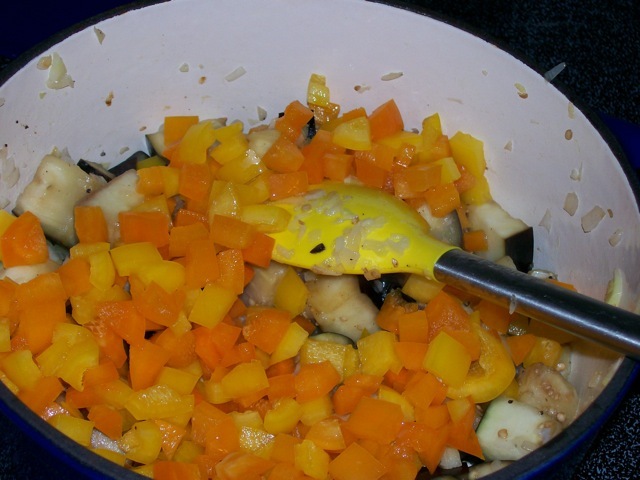 While the vegetables simmer, add a teaspoon of olive oil to a skillet and warm over medium heat. 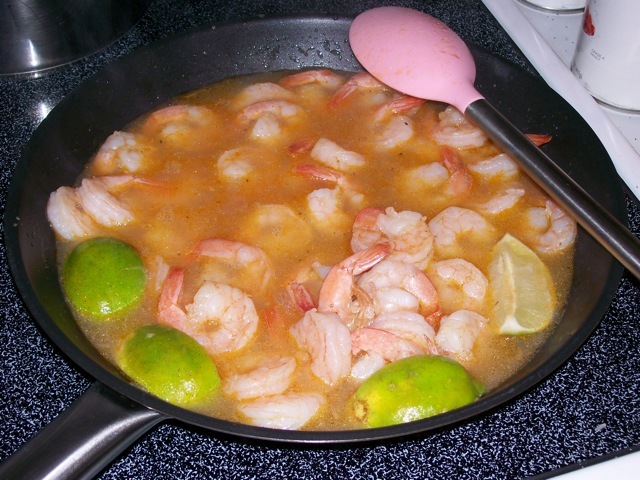 Add the shrimp and cook for 2 minutes. The shrimp should turn pink. Add the quartered limes and the sriracha sauce to the shrimp. Cook for another minute. Add the light beer and simmer for five minutes. 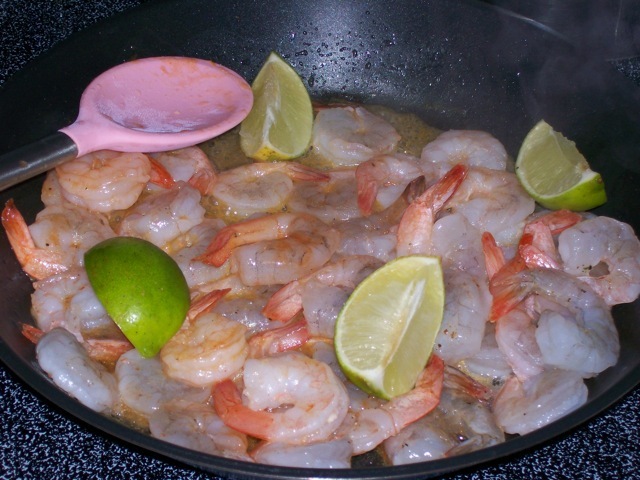 When the shrimp are finished cooking, drain off any remaining liquid and discard the limes. Add the shrimp to the vegetables and mix gently. Let simmer for 2 to 3 minutes more. Add the file’ powder to thicken the gumbo. Serve over rice. 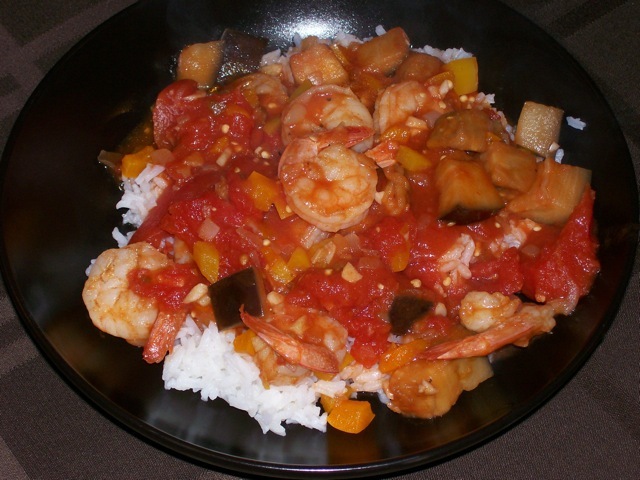 While this is not the typical Louisiana-style gumbo that most people are familiar with, the shrimp, eggplant, and tomatoes complement each other well. The rice is especially good when it absorbs the juices from the gumbo.